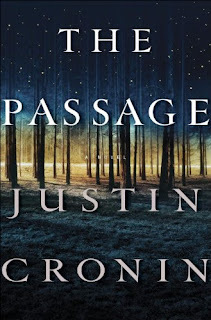 The Passage was my favorite read of 2010. Cronin's monsters are labeled "Vampires" much in the way the "Zombies" are labeled in 28 Days Later. It's a rational label, but not quite right. These monsters are the result of a successful failed military experiment. Let it be a lesson to you - if you create something more powerful than you, well, it's going to wind up more powerful than you. The Passage gives us a glimpse into the original monsters - perhaps even makes us like them - before leading us into a journey that spans more than 100 years. Cronin's voice changes throughout The Passage, and as a result the pacing changes as well. It starts out at a very fast pace - so much so I turned the light back on twice to pick it back up! I simply didn't want to put it down. It did slow down a bit throughout the novel, but my interest never waned. I was able to completely suspend disbelief and become part of Cronin's dystopian world. Thank the heavens it is part of a trilogy because I did not want to leave. I am anxiously awaiting the next release (along with any film adaptations I may get to enjoy!). 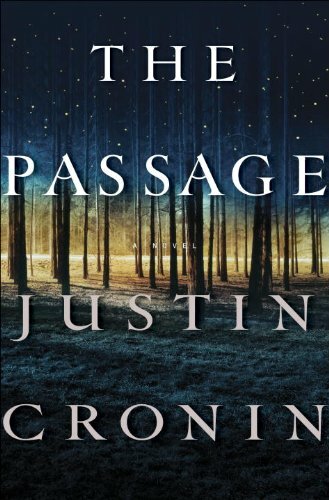 Despite the 4.5 (almost perfect) rating I am giving The Passage, it makes it into my all time list of favorite novels. I'd love to hear your thoughts regarding The Passage! Justin Cronin is a genius dystopian author, and The Passage is brilliant.